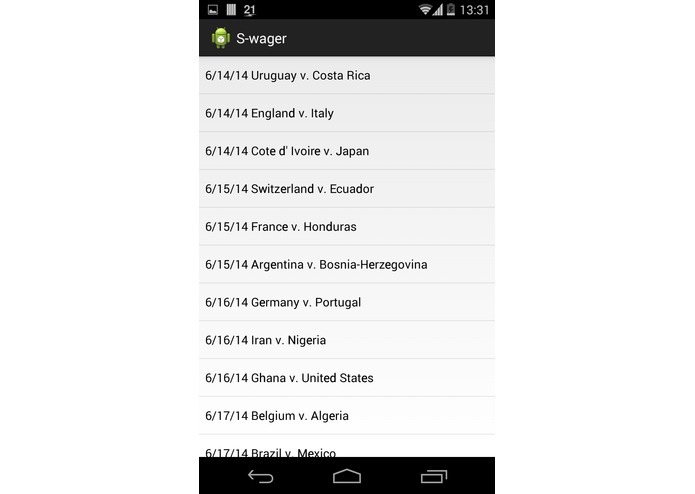 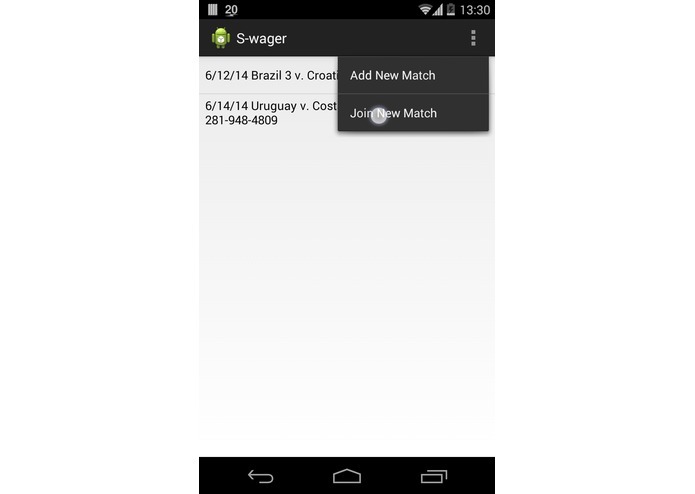 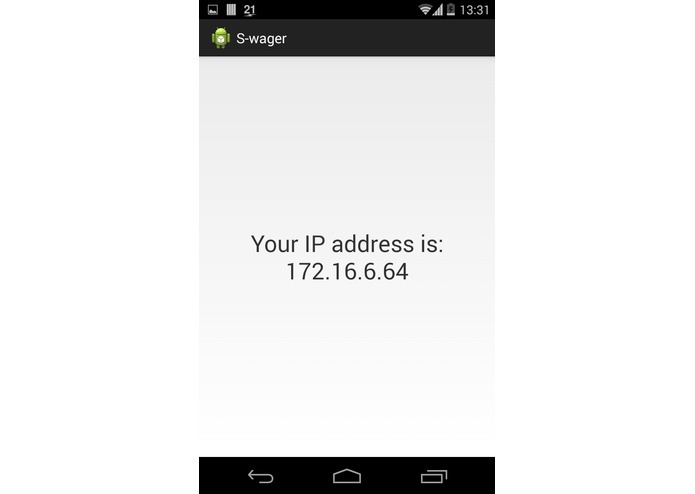 S-wager allows two people to connect over Wi-Fi and wager money on various situations for a specific 2014 FIFA World Cup match. 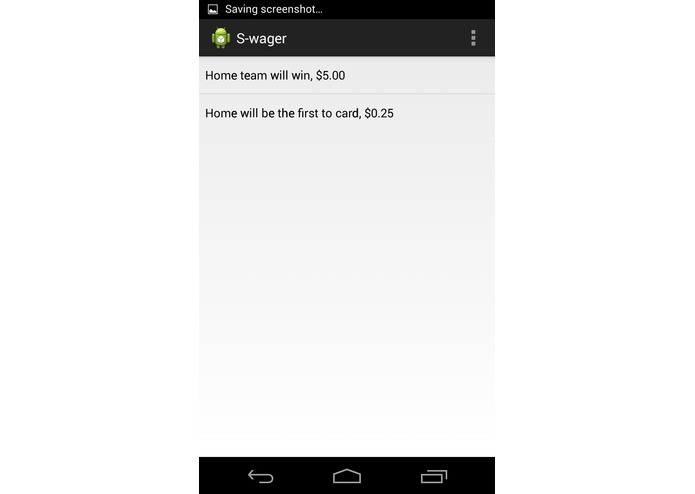 Types of wagers may include winning team, first team to get carded, team to have the most possessions, and more. 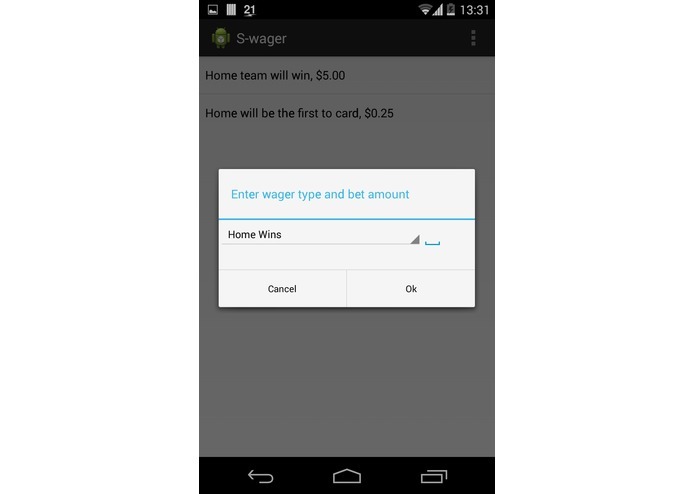 After the match has concluded, S-wager determines the winner of each wager and calculates the total payout of all wagers along with how much money the overall winner receives from the loser.